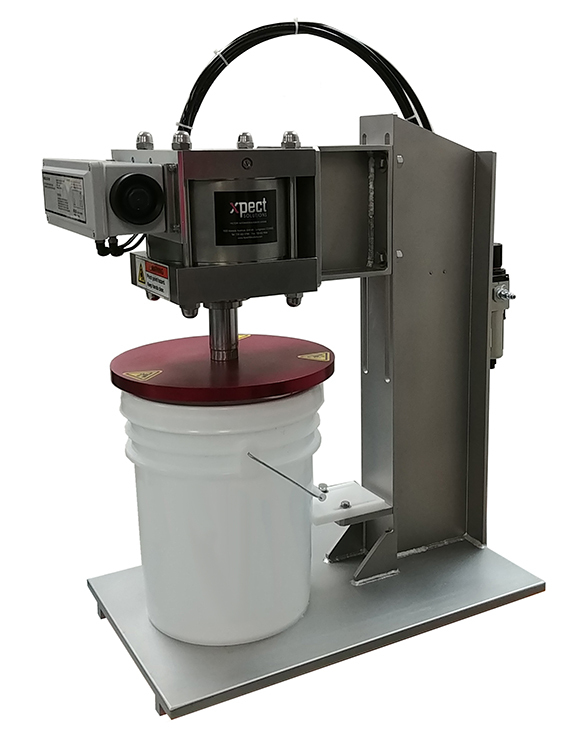 The 5 Gallon Bucket Table Top STAINLESS Lid Press from Xpect Solutions has been designed to replace the brutally hard process of manually hammering on lids at a reduced cost of the automatic system, but not a reduced quality. 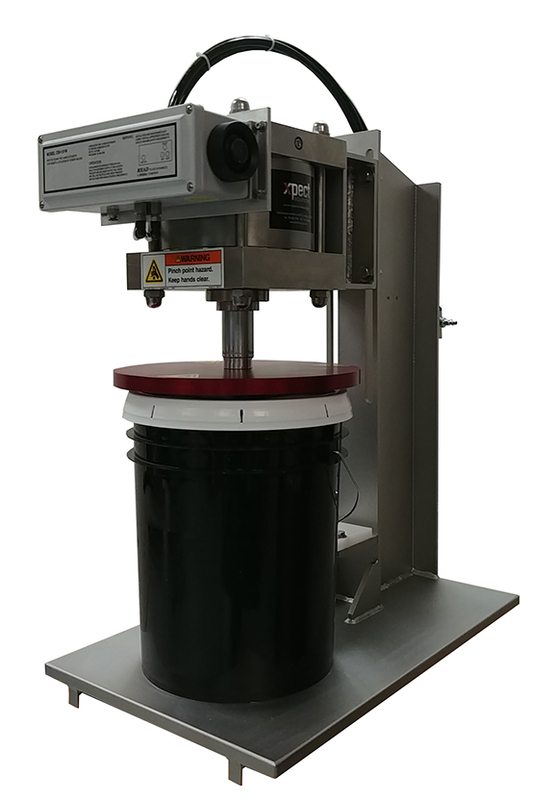 The 5 Gallon Bucket Table Top STAINLESS Lid Press will generate over 3,400 lbs of vertical force when pressing the lid onto the bucket. Operation of the 5 Gallon Bucket Table Top STAINLESS Lid Press is operator dependent. Buckets must be positioned under the press head manually. The operator is responsible for pressing the dual palm buttons to trigger the closure cycle. 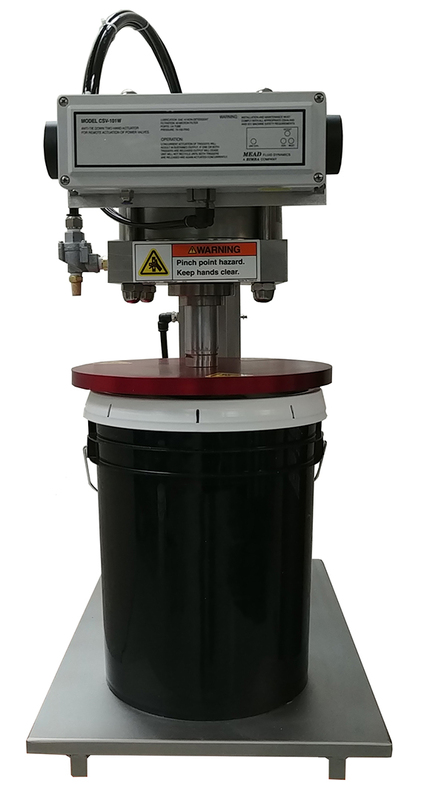 The 5 Gallon Bucket Tabletop STAINLESS Lid Press can accommodate buckets from 1 gallon up to 5 gallon. 6 Gallon available by special order.